The club has decided to cancel the December and January HF nights. We will pick it back up on the first Tuesday of February, the 7th, 2012. Keith Miller, N9DGK won the election to become the new Tennessee Section Manager. The amateur radio station located on the International Space Station, Columbus module is now active on AX.25 packet radio at 437.550 MHz. More information can be found in the ARRL News announcement. ARRL Sweepstakes is this weekend! The exchange makes this a fun and slightly challenging contest, but where else could a person work all states in less than 24 hours? 20 through 10 meters has been Hot Hot Hot so this should great! If nothing else get on for a few hours Sunday afternoon or early evening give us poor guys a contact! November 26-27th (UTC) will be the fantastic CQ World-wide DX contest,CW edition. There will be some juicy DX out there and easy pickings! Search and pounce to add to your country totals or try to run them…either way it should be really fun in between turkey sandwiches and bowl games. Skywarn Recognition Day (SRD) 2011 will be held at the NWS office in Old Hickory from 6 pm, Friday Dec. 2nd to 6 pm, Saturday Dec. 3rd. All HAM’s in Middle TN are invited to attend and/or participate. Radio Operators for the event will be scheduled in 2 hour blocks where they will have a chance to both make and log contacts. Don’t forget that our monthly club meeting on Dec. 15 will be our Christmas dinner held at Ryan’s Steak House (map) starting at 6:00 PM. Remember there are a lot of people having a hard time this year and the need is great to give a little Christmas joy to the kids. Skymont Benefit (North 1), a photo by allan_q on Flickr. NARC provided communication support for the Skymont 25/50 Mile Endurance Ride on Nov 4-5. This event benefits the Boy Scouts of America and was a fun-filled day with muddy conditions caused by recent rains. 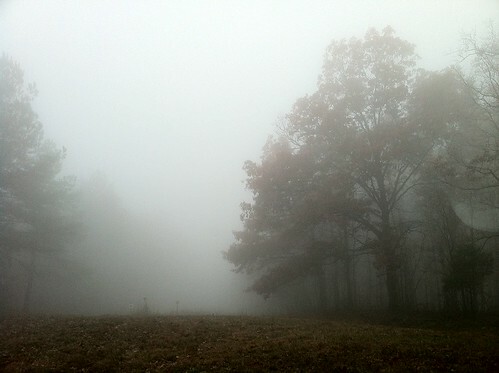 The fog on Nov. 4 stayed with us until 2p which makes for spectacular pictures.